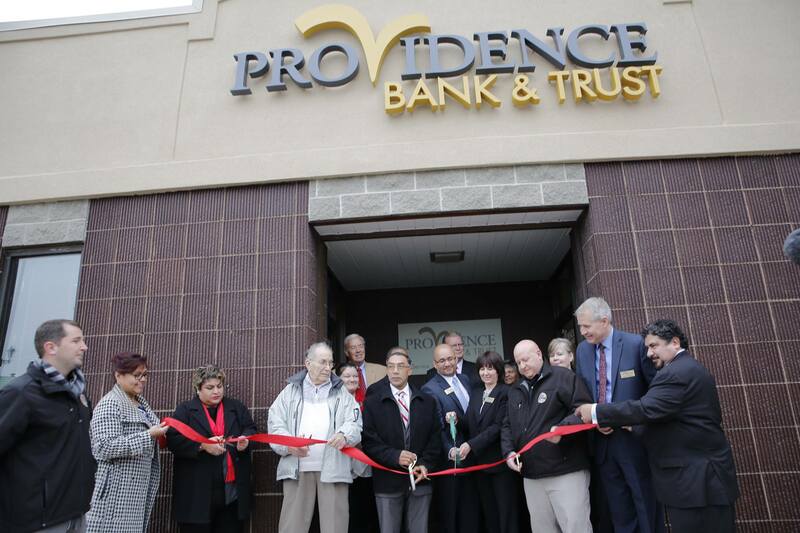 Town of Cicero officials helped celebrate the completion of renovations at Providence Bank & Trust, 5225 W. 25th Street. Bank President & CEO Steven Van Drunen and Vice President of retail Management announced that the bank just completed their extensive interior and exterior remodeling at their Cicero Branch. Town Assessor Emilio Cundari, speaking on behalf of Town President Larry Dominick, praised the bank's renovations and said that the Town's business community continues to grow, benefiting the community both in services and also in job creation. The ribbon cutting took place on Thursday December 3, 2015. Here are photos from the event.